Home » Texas Rangers » Filling the manager vacancy. In an article in yesterday’s The Athletic, Rangers beat writer Levi Weaver was discussing all the candidates for Rangers manager and promoted a radical idea. What if they don’t hire a manager? What if all they need is a bench coach to perform the perfunctory activities like taking out the lineup card or walking to the mound to take the ball from the pitcher or hugging a player after he strikes out so he doesn’t feel bad? After all, he argues, the functions a manager used to perform—strategy and decision making—are all done by someone in the analytics department anyway. Many of the players asked agreed. “What do you need a manager for if all those decision are coming from above?” was, according the Weaver, a prevailing sentiment. What do we need baseball for? Hey Rangers friends, I am sorry that I have not been present here of late. But my Mother was very ill, and I was spending most of my time caring for her. And since here passing there have been many other things on my mind more than baseball. So Mom eventually passed away from a relatively short bout with lung cancer in her right lung. We were told her’s was a very rare case, since Mom never smoked, nor did she ever work in an industrial environment, nor was she ever exposed to second hand tobacco smoke speak of. And she also did not contract the cancer until very late in her life. All collectively, of this was all supposed to be very unusual, or so they said. But death is “usual” for us all. 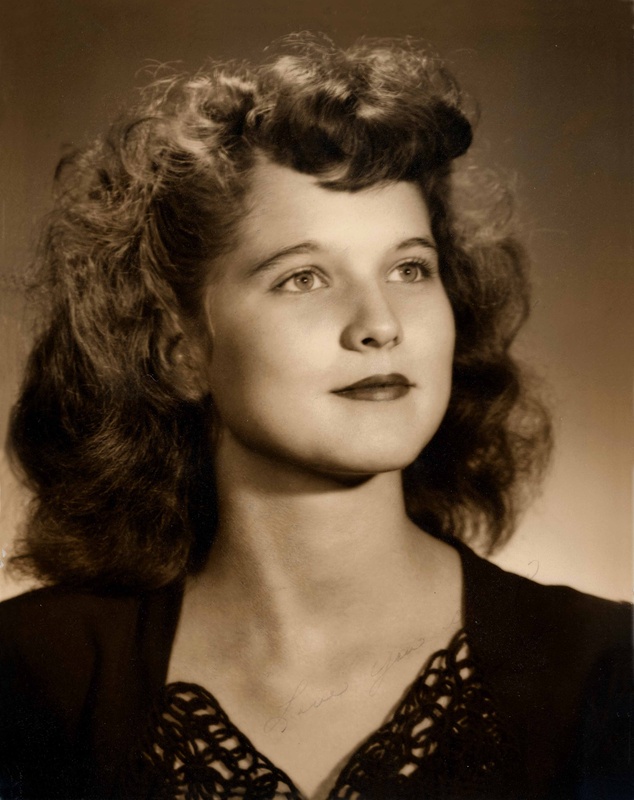 So at the age of 87, Mom quietly passed away early on Sunday morning, of Sept. 30th. I won’t go into a bunch of accolades here. Nor will I attempt any lengthy eulogy here either. Because most Mom’s are very special to their children. So I will only say that my Mother was an exceptional person, and she was a wonderful Mother to me. Thank you Jake. Yes, the older we get, the more death seems to become our constant companion. And Mom is indeed home now, and for that I am very grateful. Poss, sorry for your loss. I love that photograph of your mom. We are lucky to have people like that in our lives, and people like that who guided our lives. God blessed you with such a wonderful mother. Thanks Kev. That was a very remarkable generation. And sadly, they are leaving us so very quickly now. Glad you’re ok, Poss. Sorry to hear about your mom. Thanks, Elk, it is what it is. She was getting up in years, and so forth. But as you well know, the inevitability of it all still does’t make it any easier. Poss, I am so sorry for you loss. You mom was a very pretty lady. What you have decided to put on her headstone is so beautiful. I can only hope that my sons will feel the same about me. That was a tearjerker. Sorry to hear of this news Poss. Best to you and your family. Sorry for your family’s loss Poss, and happy for your love and respect for her. Sounds like a life well lived and love well earned. Thanks Rowdy. We wee always close, but I took her for granted way too much. Doesn’t read to me like we are not on the list, just gives a taste of a few teams. No interest in Corbin, a possible one yr wonder. Keuchel has lost velocity. Eovaldi intrigues me. I don’t think it’s time for the Rangers to be in the pitching market, at least not for a “front line” pitcher. Maybe a cheap back of the rotation guy to fill in a blank space. No sense spending big money on something you don’t have the team to back up. Wait for the proper time and then go for it. Now is not that time. President? See the Astros. I agree it won’t be a top of the rotation arm. JD will “try” to sign a guy on a 2 or 3 year deal to have Minor and another inked for 2020. Oh, I agree about skipping over the front line pitchers, but this article has ALL the pitchers available in descending order of record. We have to add pitching this season- no way around that. I’m thinking we can start shopping from the bottom half and be ok. If you look at that list, there aren’t any front line pitchers on it. If the Rangers are able to get a Keuchel or a Corbin for fair money, they should. Why? If this core offense is as good as people think, let’s let them get used to winning. How disappointing is it to go out and get your brains kicked in on a nightly basis at that young of age. You are teaching them to accept losing. And, if this core develops as quickly as people hope, then wouldn’t some quality pitching to go along with it make a whole lot of difference? By the time the pitching that is supposed to be coming through the system arrives, assuming it pans out, this core offense will all be either gone in free agency or in its last years. So then we will, theoretically, have pitching and no offense. The Rangers core offence, as it exists, is HIGHLY over rated. The young kids got a lot of learning to do that should have been done in AAA this year. Alas, injuries robbed them of the chance. DD still can’t hit and his obp is not that good. Their best hitter hit .264 for the season and other than DD they don’t have any speed guys. Mazara is better than he showed this year as is Elvis. I’m still waiting on Gallo, but losing patience. It’s tough to give up on a hundred rbi guy. If Beltre doesn’t come back they a lineup that is heavily left handed gets worse and the only propect with a projected hit tool is Calhoun who is unproven and also left handed. Long story short, I’m looking at another disappointing season. Just about the whole team needs a rebuild. I think it will be better but there’s not much even a front line pitcher could do to show much improvement. You figure 30 starts and a .600 winning percentage which is about average for a front liner and the most you’ll get is 18 wins which is a net gain of maybe 10 games over a back of the rotation guy. Of course that’s leaving out the BP wins which now a days is significant and I am much to lazy to try and figure that out. Patience is one of the keys to a successful rebuild. The Minor signing last year was better than OK after a 1 year review. If JD can pull off another of equal value, it would be a successful winter of 2018/19 as far as building a starting staff for 2020. If JD can hit on a couple he can flip at the break or deadline, that would be great, whether SP or RP. This whole rebuild is still about building the farm through the 2019 season. As far as vying for a playoff spot, looks like 2021 or 22. These young offensive players will still be in arbitration or traded for controllable pitching or signed to extensions if they fit into long range plans. In case you forgot, today is the day you can get a free Doritos Locos Taco from Taco Bell from 2-6. One per person, but the people must be present. Thanks Mookie! Pretty much agree that the bench coach can pretty well handle the routine game stuff. You still need somebody “manage” things. There’s a lot that a manager does, baseball or other profession, than make “game” decisions. Just dealing with all the personal problems and baby sitting twenty five guys can sometimes be a nightmare. I don’t think you need a baseball genius so much as a “people person” that understands how to get folks to do what they sometimes don’t really want to do and like it. Those guys are hard to find. I totally disagree with his thought. You look at the World Series. Alex Cora made moves based on intuition and reading the game. If you don’t know how to do that, all the robots in the world won’t help. Lot of his decisions were questionable, but did work…so he gets credit. I think every manager’s decisions are questioned to some extent. I was referring to things like stealing and hit and runs, putting runners in motion. Metrics would say don’t do that. Moneyballer Billy Bean hated stealing. It’s the ones that work, though, that show why you need someone with gut reaction sometimes. I would think that any bench coach worth his salt could perform that function. Although, you are probably correct because if one guy could do the job, the wouldn’t hire a bench coach. EVERY move a manager makes in a game is questioned, no matter what it is. How fast he walks to the mound during a visit. How quick he motions to the pen. Which leg he hikes up on a step in the dugout while watching the game. Have you ever been on this site during a game? OMG. It will never change no matter who the manager is. It is what fans do. Keyboard managers. I may resemble that description ……. Sherten Apostel, one of Profars home boys. Still 19 and in low A. Got some things that need fixing but lots of time to fix them. I was listening to former reliever Brad Lidge on MLB Network Radio, he said that is common for baseball parades. Players love it when they toss them beers. Biggest problem is they feel obligated to drink them all. I guess it’s something that has been going on for a while. Sounds dangerous though. Yeah, sounds like one of those precedents that everybody enjoys but shouldn’t be. I like my beer, but not interested in playing catch with 12 oz rocks. Yeah…and I am keeping my brew….might throw away a empty…. Not much happening in the winter leagues. Charles Leblanc took a rare oh fer. JPM’s slash line is .327/.400/.531. Other than that nada.